Tday, the century we are living in, is rapidly heading towards digitisation, and seems to be a colossal world of technologies. From mobile phones to tablets, our lives are surrounded with high-tech equipments, thanks to the booming science. Years ago, the emergence of IT Boom in India was a turning point in the economy of the country. Since then, scientists have been experimenting and their innovative ideas have very-well ruled our lives. Seeing the huge scientific developments in the world, even the Government of India has also taken an initiative namely ‘Digital India’, which might bring a time when science and technology would almost conquer every sphere in our life. We would be living in a duly digitised world. One of the initiatives scientists have taken to simplify the lives of people is the invention of Science Digital Labs. These are the labs used in various areas of life by a large number of people to make a healthy, happy, easy and comfortable living. Be it healthcare or education, these labs have a significant role to play. “Science Digital Labs act as a bridge between the islands of data gathered through various means, and transforming that data into meaningful inferences and share it within the enterprise. Integrating laboratories improves regulatory compliance and data integrity”, says Kalpana Singh, founder and chairperson, Discovering Magnates. Today, the Science Digital Labs are mainly being used in life sciences and the healthcare domain. Though the utility of these labs is immense, but organisations in general are not very enthusiastic in introducing them. Bringing in Digital Labs requires a strategic shift in the thought process of an organisation. In addition to that, one needs to analyse the ways to operate them in a comprehensive manner, reducing or eliminating the non-value added method as well. The Science Digital Labs or the Paperless Labs are a crucial help in eliminating the unnecessary tasks from the workflow, as they automatically produce all the required documentation. Automated data collection and transfer allows a person to get rid of the redundant or fragmented data. Moreover, it allows the availability of relevant data to each and every authorised user in real-time. Steps like these lead to improved processes, increased efficiency, faster decision-making and better teamwork. Over the past few years, scientists have struggled much to keep the track of data of various laboratory components that they have been collecting. There is a central database that allows simple tracking of equipment data and highlight current issue on equipment. All the experimental equipments in Science Digital Labs are computer-controlled and accessed remotely from WiFi Tablet. Besides, for organising normal day-to- day work and storage of data files, these labs allow users to coordinate, collaborate projects and meetings and arrange how and what new experiments should be done. “The key message is to ensure that, once data is acquired, it is transferred electronically between systems, eliminating boring and repetitive jobs, such as retyping, error checking etc. Digital lab is introduced as a process improvement technique, not necessarily automation or reducing paper work or Enterprise Resource Planning (ERP)”, says Dr. Sraban Mukherjee, Director, Krishna Institute of Engineering and Technology (KEIT). In order to achieve that, all the processes in the organisation are required to be optimised by using IT system effectively & efficiently. Digital lab requires effective, efficient data repositories and effective integration between applications within an organisation. 2. Electronic ways of working- with the presence of digital equipments and their increased use in our daily lives, everyone today wishes to de-burden themselves. Now, people no longer stick to the copy-pen method to note down important notes. Furthermore, the advantage comof electronic working is that unlike a notebook, the electric way of working would secure all your data. 3. Electronic storage and sharing of data and information- all the data and information stored in an electronic device is always free of any damage or harm. Besides, it can be easily shared with others within seconds. 4. Electronic signatures wherever required- it won’t be surprising for someone to know that even the signatures today are digitised. If one has to urgently get signatures on a document, and the person is not available then the task can be easily accomplished with the help of electronic signatures. For example, Genomics Digital Lab (GDL) is a series of animations, educational games, and simulations based on browser. The lab is being developed by Spongelab Interactive and is used to teach high-school students about biology. The topics of study include photosynthesis, respiration, transcription and translation. Almost six years ago, Genomics Digital Lab came out in the market in the year 2009. It is easily available for purchase at home or at schools. The sample is also available for a free seven day trial. Over the past few years, there have been significant changes which are being observed in both the primary and the secondary education patterns with the help of Science Digital Labs. 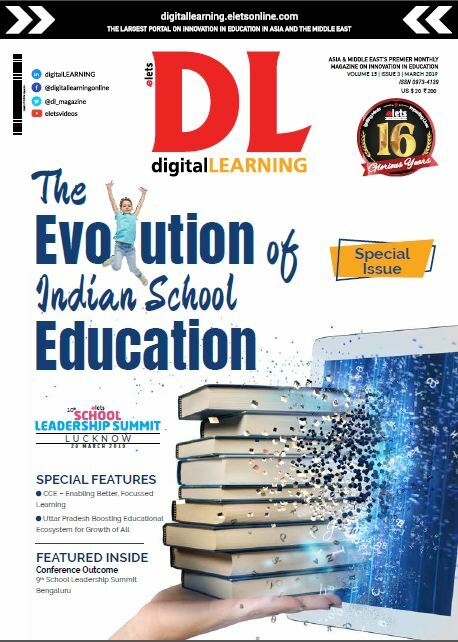 Now- a-days, every second school is using digital learning systems to make education more efficient and fun-filled. Previously, we were only restricted to the higher education segment, where all the digital learning aids were used. However, in the past one year, it is observed that there are many specific courses for management that are being run on Digital Labs such as Moving Image Archiving and Preservation (MIAP) programme in the New York University. It is a plan that involves collection assessments, copyright audits, and detailed study of an upcoming technology and full preservation of media work. The use of Science Digital Labs is also witnessed in the field of healthcare, and involves the implementation of the medical simulation process. It is a method which is used to educate the medical students for the nursing courses. 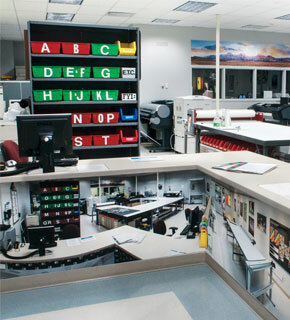 In the field of healthcare, these labs are known as Simulation Labs as well. The School of Nursing under the University of Delaware situated in the McDowell Hall is one of the educational institutions that provides nursing courses for medical simulation. There, the students are given special facilities for learning, and an opportunity to enhance their skills in a risk free suitable environment. It is a practice- based hands-on education. There are a large number of easily accessible learning opportunities in this area. While teaching most of the disciplines, students witness a lot of chances to learn. In addition to that, they are given a chance to practice things too. And as the opportunities to practice come along, it is expected that the students encounter enough situations to ensure that they indulge into a competitive spirit. However, this seems a random way to handle things and might put learners and patients at a disadvantage. What students actually require is a scheduled, valuable learning experience that can be difficult to obtain in real life. Some of the key features in this course involve addressing hands-on and reasoning skills, including knowledge-in-action, research procedures, decision making, and effective communication. Other things that are taught within the process are handling work pressures, error trapping, and coordinating while stress is all around. Since any of the clinical situations can be portrayed at will, these opportunities to learn can be scheduled at suitable times and locations, being performed repeatedly as often as necessary. One has the freedom to make mistakes and learn from them. All those working and learning in an environment surrounded by these labs are allowed to make mistakes without any need for intervention by experts to stop patients harm. After seeing the outcome of their own mistakes, students are capable of gaining powerful insights. They carefully watch the aftermaths of their actions and analyse the necessity to “get it right”. Further, the advantage of these simulation labs is that the learning experience of the students can be customised. 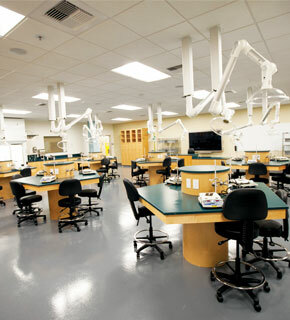 From beginners to experts, these simulation labs can accommodate a range of learners. Once the beginners gain confidence in themselves, they can further pay attention to the parts that demand much care. It is also easy for experts to succeed in achieving mastery with the continuous use of technology for invasive surgery to catheter-based therapies to robotics While taking this step and putting the first group of patients, there is hardly any risk to their lives. Nonetheless, there are a few complex procedures and limited diseases, which simply do not provide sufficient opportunities for practice, even to the established clinicians. The example involves treatment of a severe allergic reaction or heart attack in an outpatient clinic setting, or managing a case of malignant hyperthermia in the operating room. This is a gap which can be filled with the help of simulation training methods under the Science digital Labs. The students can also get the detailed evaluation and feedback of their performance, but it might be troublesome to learn, review and understand the pace of actual healthcare operations in the real events, as they do not allow enough time to analyse things. Why something happened, or how to perform well in a particular section are the main things one keeps in mind while learning something. Thus, controlled simulations in these Labs can be immediately followed by a videotape-supported debriefing or after-action reviews that provide a detail of what happened. Many advanced and hi-tech surgical task simulators gather much data about the activities that a student is actually doing. Healthcare simulation is spreading its wings and has started to share much with the accomplished methods in various areas. The rapid advanced progress of computer science, bioengineering, and design has very well succeeded in meeting the demands from all the stakeholders for a much effective, efficient, ethical and safe healthcare. The emergence of the Science Digital Labs is a boon for various business prospects. It is because it has made our lives easier in many ways. For instance, reduction in paper work and increased efficiency through electronic data sharing between geographically dispersed users allow automated regulatory compliance. At the same time, a person can use electronic signatures to make his/her business processes faster.